Charles E. Haeberle was born on 26 May 1868 in Niagara Falls, Niagara County, New York. Georg Häberle and Charlotte Walz, appeared in the US federal census of 1 June 1870 in Suspension Bridge PO, Niagara Falls, New York. Other members of the household included Charles E. Haeberle, Louisa Haeberle, Fredrika Christina Haeberle, Wilhelmina Haeberle, Barbara C. Haeberle, George C. Haeberle and Charlotte Haeberle. Georg Häberle and Charlotte Walz appeared in the US federal census of 1 June 1880 in Suspension Bridge, Niagara County, New York. Other members of the household included Charles E. Haeberle, Wilhelmina Haeberle, George C. Haeberle, Charlotte Haeberle and Caroline Catharina Christine Haeberle. He married Elizabeth M. Boyne, daughter of John Boyne and Ann (? ), circa 1892. Charles E. Haeberle and Elizabeth M. Boyne appeared in the US federal census of 1 June 1900 in Niagara Falls, Niagara County, New York, at Tenth Street. Other members of the household included Winifred Haeberle and Stella G. Haeberle. He was owner of a planing mill, according to the 1900 census. Charles E. Haeberle became a widower at the circa 14 May 1906 death of his wife Elizabeth M. Boyne. Charles E. Haeberle appeared in the US federal census of 15 April 1910 in Niagara Falls, Niagara County, New York, at 1911 Tenth Street. Other members of the household included Winifred Haeberle and Stella G. Haeberle. He was proprietor of a wholesale lumber company, according to the 1910 census. He married Flora Ruth Schleisinger, daughter of William Schleisinger and Anna Kelberer, on 21 July 1914 in Rochester, New York, by license issued the same day in Monroe County, with clergyman C. Trebert officiating. The marriage was witnessed by James Bernard Martin and Jeanette Olga Schleisinger. Charles E. Haeberle became a widower at the 28 February 1916 death of his wife Flora Ruth Schleisinger. The following appeared on 28 February 1916 in the Niagara Falls Gazette: [Died] In this city at Memorial hospital, Monday, Feb. 28, Flora Schliesinger Haeberle, aged 30 years, wife of Charles E. Haeberle; besides her husband she leaves an infant son, her grandmother, Mrs. John Roupp, of 723 Pierce avenue, and one sister, Mrs. James B. Martin of Rochester, N. Y. Funeral will be held from the family home, 1911 Tenth street, Wednesday afternoon at 2:30 o'clock, Rev. Herman Brezing of German Lutheran church officiating; interment in Mausoleum in Oakwood cemetery. He married Ruth Muriel Hughes. 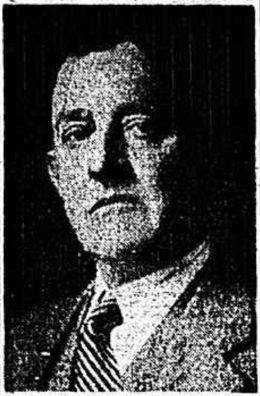 Charles E. Haeberle became a widower at the 26 December 1940 death of his wife Ruth Muriel Hughes. Charles E. Haeberle died on 26 October 1952 at age 84. He was interred at Oakwood Cemetery Mausoleum, Niagara Falls, Niagara County, New York.